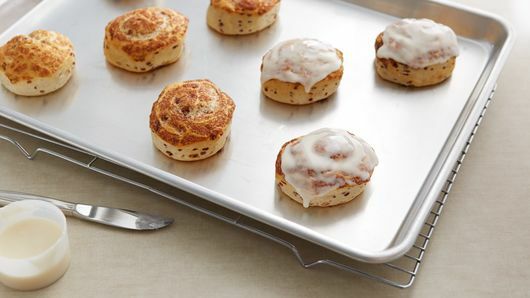 Bake and ice cinnamon rolls as directed on can. Meanwhile, spray 8-inch square (2-quart) glass baking dish with cooking spray. In medium bowl, beat eggs, half-and-half, corn syrup and vanilla. 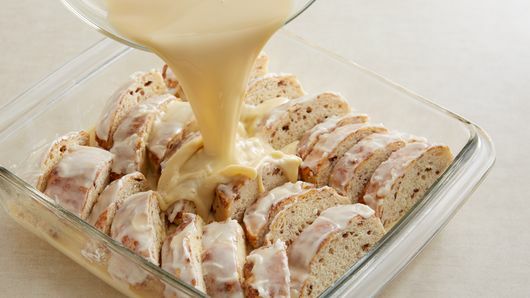 With serrated knife, cut each baked cinnamon roll from top to bottom into 3 pieces, each with some icing. Arrange roll pieces in baking dish at a slight angle to fill dish and centers of rolls are exposed slightly. 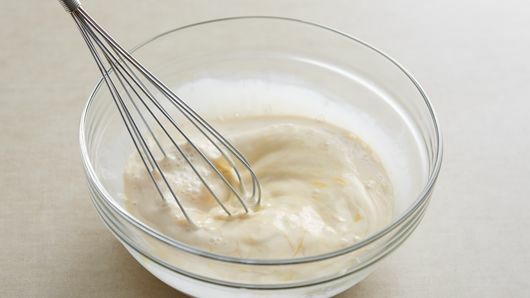 Pour egg mixture over rolls. Cover dish tightly with plastic wrap. Refrigerate at least 8 hours or overnight. To serve, heat oven to 400°F. Uncover baking dish; bake 20 to 25 minutes or until bubbly and golden brown. If toast puffs up too high during baking, pierce with sharp knife so toast falls. Cool 2 to 4 minutes before serving. Top each serving with small pat of butter. 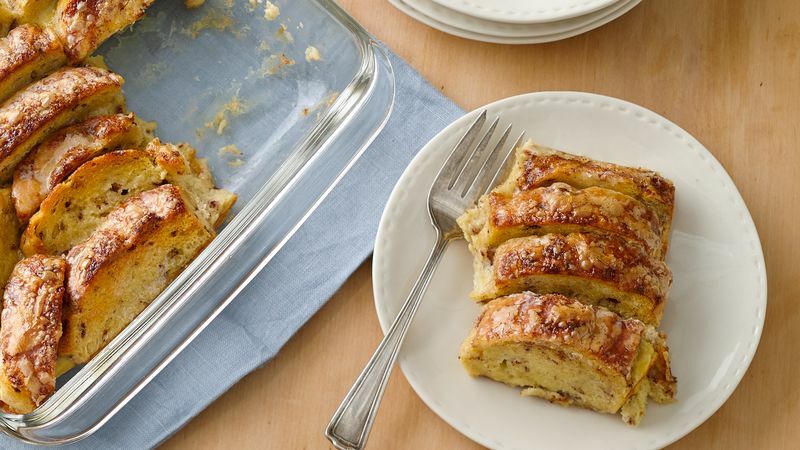 Warm maple syrup goes well over this baked French toast, too. One-half cup of chopped nuts, chocolate chips or raisins make a great add in.